This chic shelving unit is the perfect storage solution for a cluttered reception room or busy bathroom. 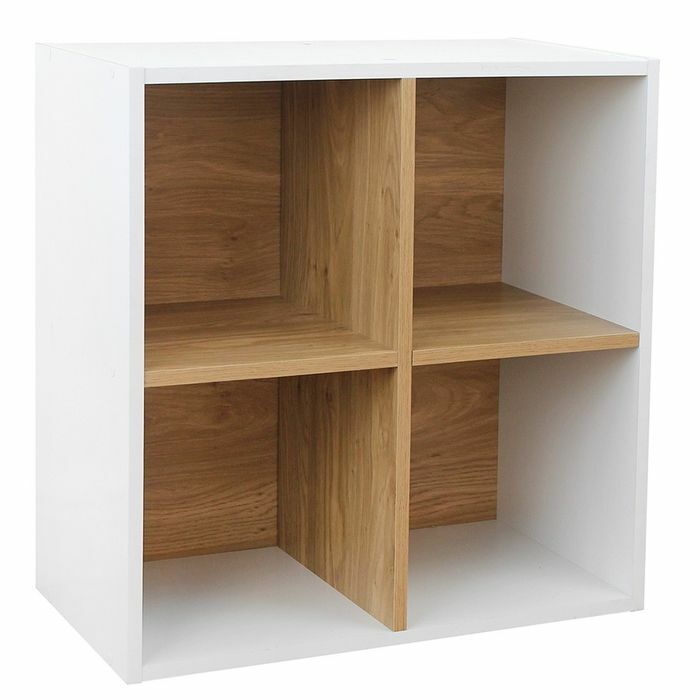 It provides you with four shelves in an open design which is ideal for quick and convenient storage and features a classic two-tone finish of oak and white gloss. Elegant and practical, it will make a great addition to your home. That's a great price, thank you so much for sharing. I've just recently bought my own house and I'm currently buying furniture for the house, this would be great for my room! !